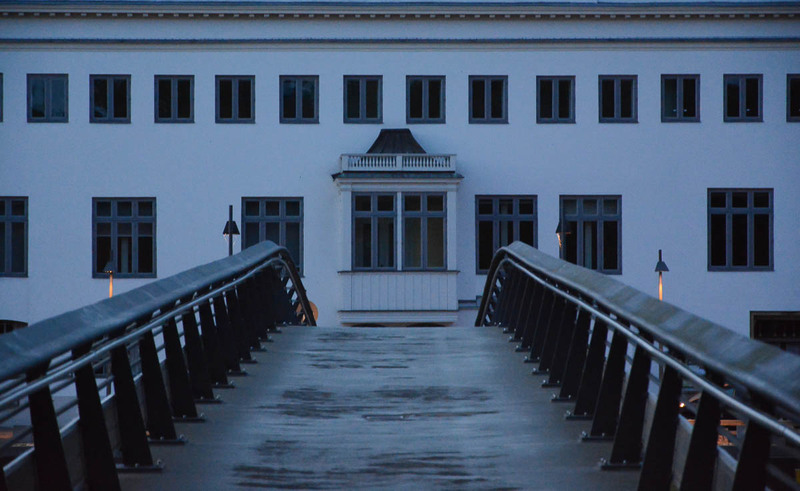 With the photo above I focussed on the bridge, but in the background you can see the University of Music in Lübeck. It was a random snapshot, because somehow I liked it that the bridge shows you the path. It was more of an experimental shot, trying something out. The bridge is there because between me and the university there is the Trave river, that also surrounds the whole historic district. There are different bridges to cross the river or channel.